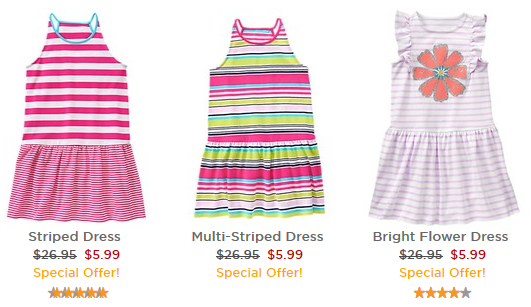 You can get up to 40% off the entire site at Gymboree. Pair that in with already clearanced items and get them up to 75% off. Plus get free shipping on any order! These dresses would be really cute with a cardigan or jean jacket for fall. You could even buy up a size for next spring and summer. Shipping is free! Deal is valid today, 7/28, only.